Sunsets are always beautiful, fleeting things, but every now and then they transcend into the truly spectacular. This was one of those sunsets. Taken from the stern of a live aboard dive boat, in eastern Indonesia, with a yummy rum punch in one hand, and a camera in the other, surrounded by (oohing and aahing) great buds. 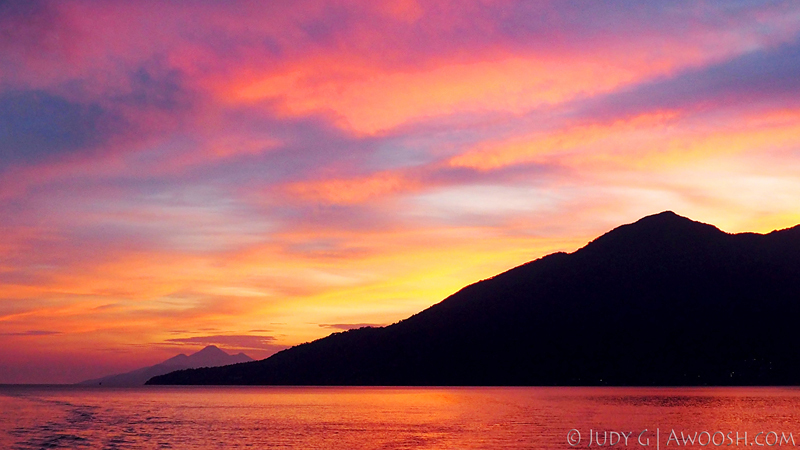 This entry was posted in Indonesia Travel, Pic of the Day and tagged Epic sunset. Bookmark the permalink.